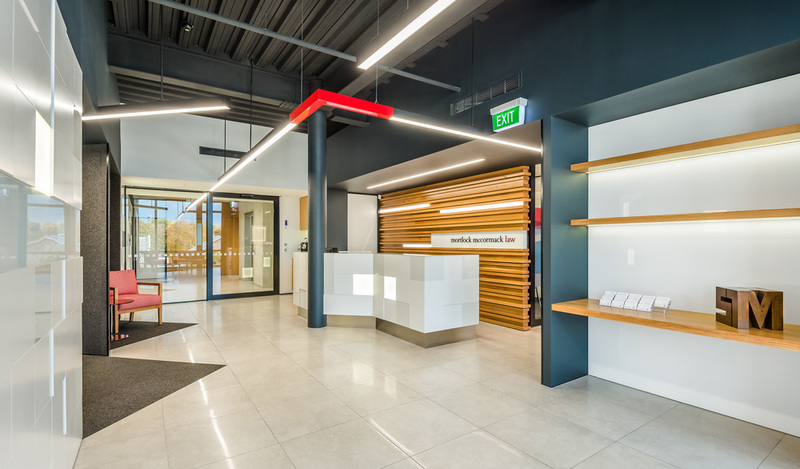 This law firm wanted to enhance their growing business and brand through their offices, and impress clients and staff with crisp professionalism, boldness and a contemporary look. 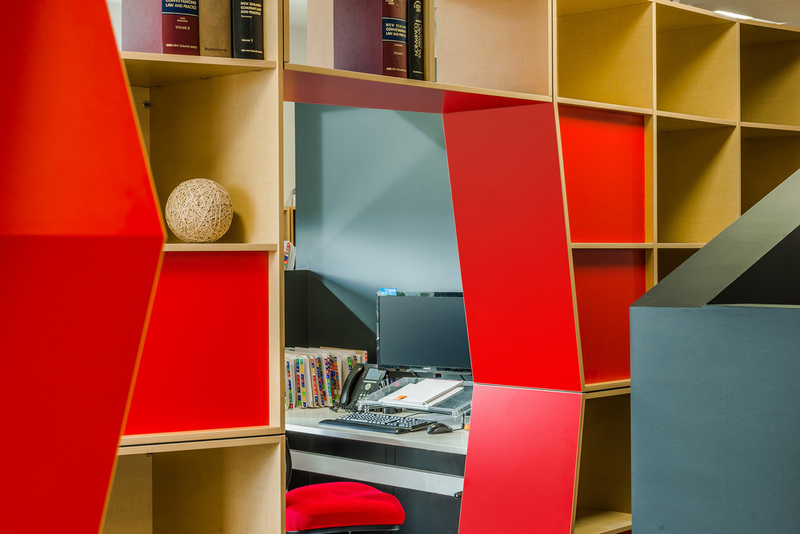 We combined a dark professional palette with bold red: the firm’s brand colour. Incorporating contemporary custom wood joinery to define spaces unified the firm spatially as a practice clearly looking towards the future.